Now up in Mazama, Washington I decided to stop on my way up for a little hike up to Hidden Lake fire lookout. I started to hear about this place a couple of years ago and then came across some night photographs of it on Steph Abeggs awesome website http://www.stephabegg.com/. 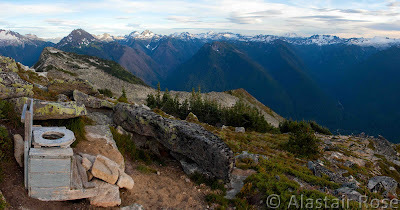 This hike is described as “one of the finest hikes on the face of the planet” as well as the toilet at the abandoned fire lookout winning “the most scenic latrine” award from backpacker magazine. After hammering my van up the dirt road to the trail head, I raced the sunset up the mountain all the while questioning why I was doing this after ten hours of driving and little sleep the night before. 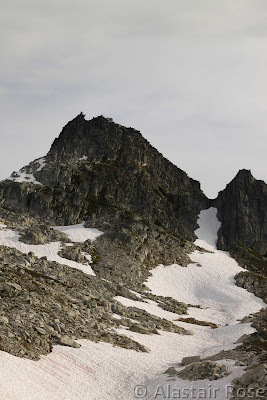 I gained height and more views but kept questioning whether this could really be that spectacular. Looking down on Hidden Lake on the way up the ridge. 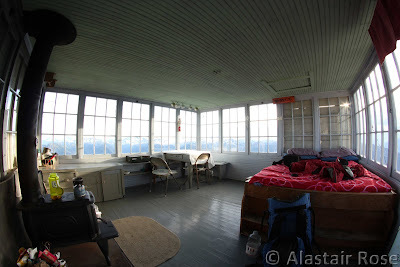 Looking into the fire lookout with the fisheye lens – this place is amazing! 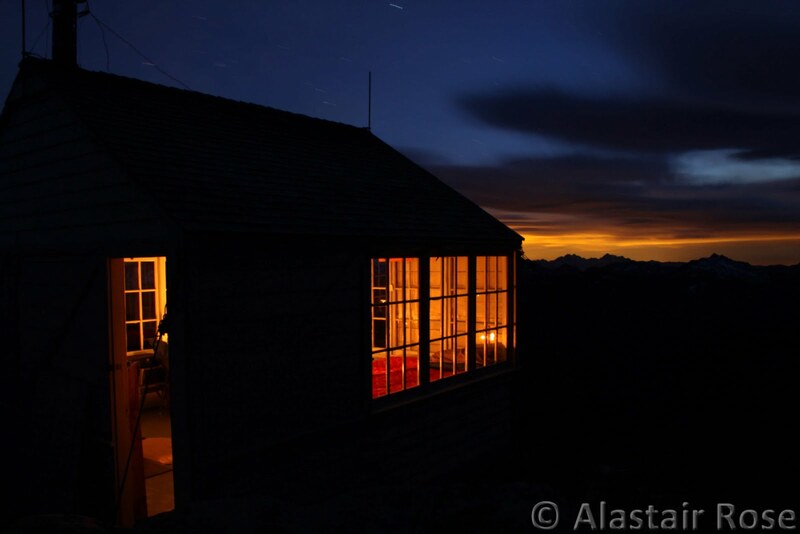 There is a small library of books about the local area, a wood buring stove, a double bed and the most spectacular views. It seems like there is strong group of volunteers keeping this place going. Another view of the lookout just before sunset. Lit up with some candles. That is not in fact the sunset (approx 10pm) but the lights from Seattle I think. Just a couple more days hanging out, climbing and taking photos before I start work where I will be hanging out, climbing and taking photos for the next 20+ days with the Fall Washington Instructor Course.